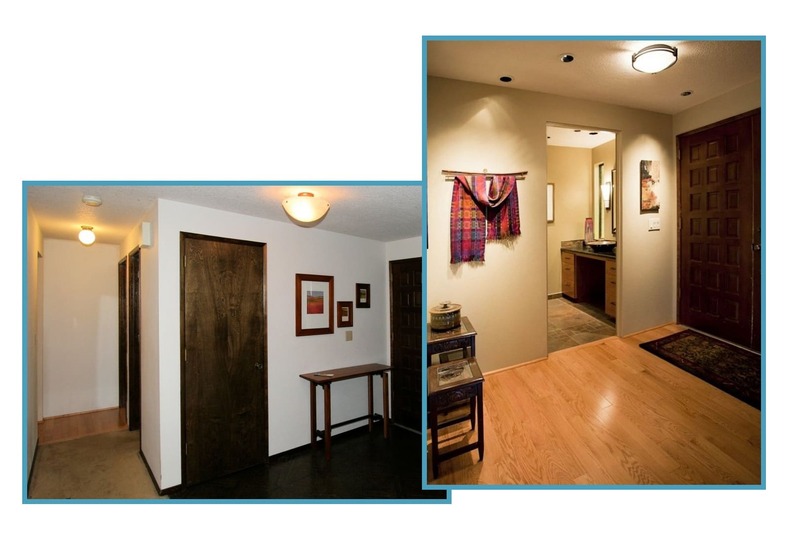 The powder room was transformed 4 accessibility at the Homeowners’ request. This was achieved by borrowing space for the roll-in shower from an adjacent hallway. Careful planning included a five-foot turning radius for a wheelchair, an open knee well in the lavatory cabinet, and offsetting the lavatory faucet so it will be easily accessible. 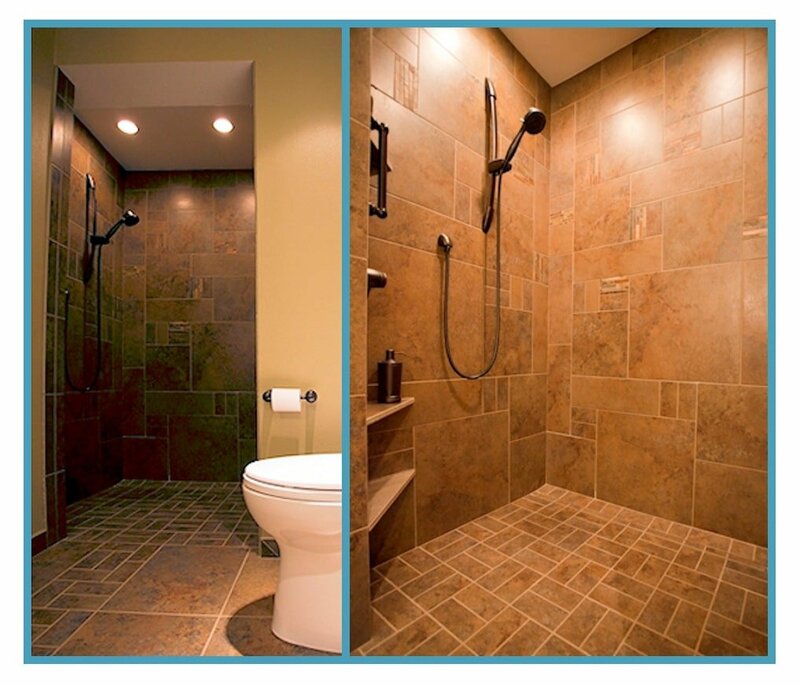 Rich colors and beautiful tiles in an interesting pattern were used to make the remodeled bathroom feel welcoming and reassuring for the occupants. 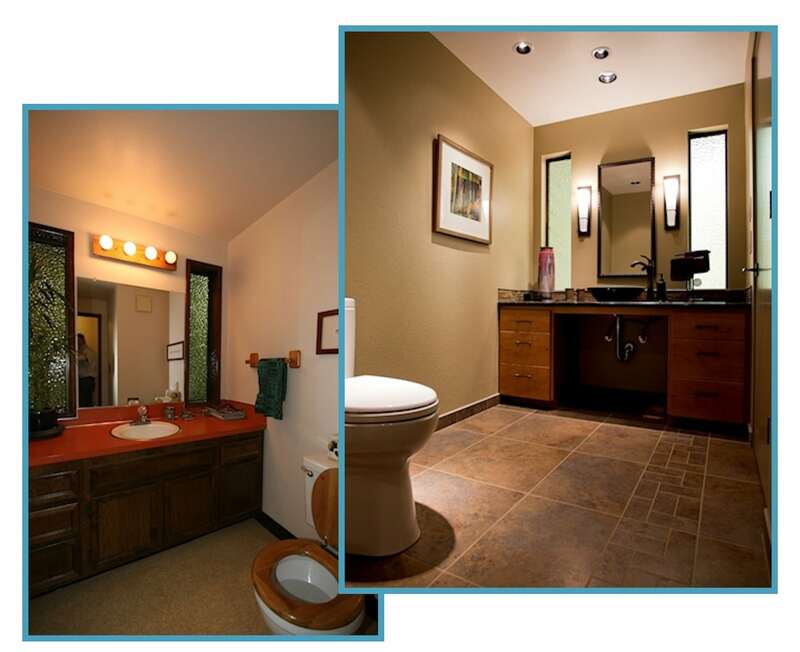 ACCESSIBLE BATHROOMS DON’T HAVE TO BE UGLY AND “INDUSTRIAL”! Links to other rooms in the project are below the photos.